The Killer B Motorsport Dual Oil Sender Adapter is a great addition to our growing line of Oil Sender Adapter Products. This particular product was designed for the NEW 2015 WRX and 2014-2015 Forester XT models that use the latest FA20 engine. Product Features: - Allows the use of TWO Pressure Sensors in ONE Location - Easy Access on the front of the engine - One Male port and Two Female ports - 1/8 PT threads to work with most popular Oil Pressure Senders. 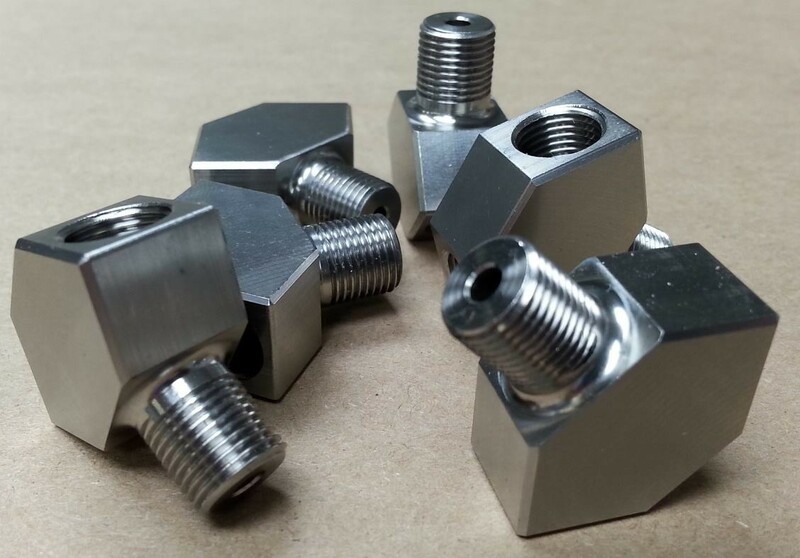 - Solid Billet 300 series Stainless Steel for Corrosion Free and Forever Reliability - Made in the U.S.A.